What a way to ring in 2019. Hockey Canada has unveiled the IIHF World Junior Championship schedule, which begins this December in Vancouver and Victoria. The schedule is highlighted by a New Year’s Eve matchup at Rogers Arena between Canada and Russia, which will likely decide the winner of Group A.
Canada opens the tournament on Boxing Day against Denmark, before playing Switzerland (December 27), the Czech Republic (December 29), and Russia (December 31) to close out the preliminary round. The 11-day tournament concludes on January 5, with the gold medal game in Vancouver. This year’s tournament is expected to have some Canucks content, with Vancouver prospect Michael DiPietro the favourite to be Canada’s starting goaltender. First-round draft pick Quinn Hughes should be one of Team USA’s top players, though fans in Vancouver won’t get to see him until the knockout round, as the Americans play the entirety of the preliminary round in Victoria. 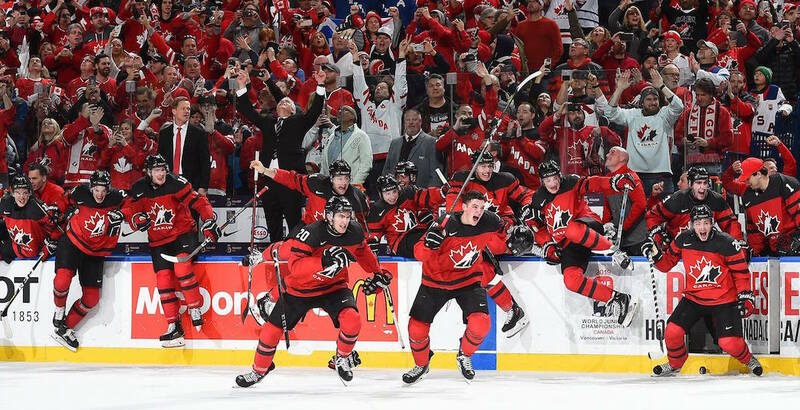 After winning just one gold medal in eight years, Canada recaptured World Junior glory at last year’s tournament in Buffalo, defeating Sweden in the gold medal game. Canada-Russia is the marquee game to watch out for in Group A, while USA-Sweden is the most high-profile matchup in Victoria. All of Canada’s games begin at 5 pm PT, presumably for national television purposes. 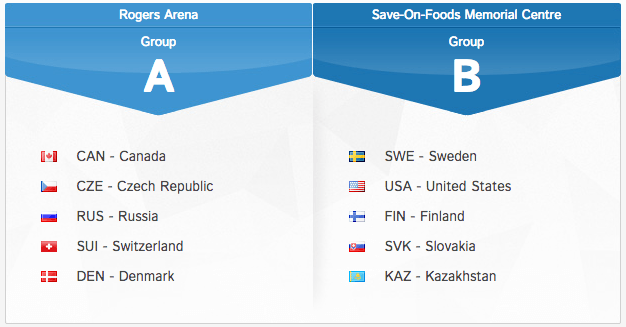 The tournament is split between Rogers Arena in Vancouver and the Save-on-Foods Memorial Centre in Victoria, shifting entirely to Vancouver following the quarter-final.